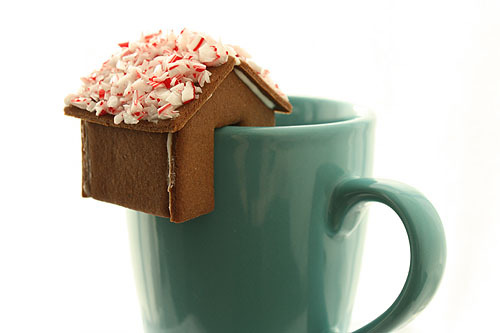 How To A Tiny Gingerbread House That Perches On The Edge Of Your Mug! HOWTO make rim-perching adorable tiny gingerbread houses for your cocoa! Megan from NotMartha.org has created these tiny adorable gingerbread houses designed to perch on the rim of your hot chocolate mug, and she thoughtfully provided a downloadable pattern for making your own. Gaston Acurio's Laureate Presentation During The Prince Claus Funds Awards! This is the part of the Prince Claus Funds Awards presentation in Amsterdam, Netherlands yesterday Wednesday, December 16, 2009 in which it showcases the work of 2009 laureate Latin America celebrity chef Gaston Acurio from Peru. Queen Beatrix of the Netherlands, her family, and some 600 royal guests tasted delicious Peruvian Cuisine! Esta es la parte de la presentacion de los Premios Principe Claus de los Fondos en Amsterdam, Holanda, ayer Miercoles, 16 de Diciembre, 2009 en la que muestra el trabajo de 2009 del celebre chef Latino Americano Gaston Acurio del Peru. La Reina Beatriz de los Paises Bajos, su familia, y unos 600 invitados reales comieron la deliciosa comida Peruana! Ad Campaign - Vegetables Are All The Body Needs! MGM City Center Las Vegas High Rise Condos! MGM City Center opens to the general public tomorrow Tuesday, Dec 1, 2009! Interesting, one of City Center's major investor Dubai World announced a possible bankruptcy on Thanksgiving Day, Nov 26, 2009.